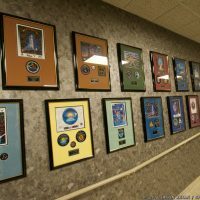 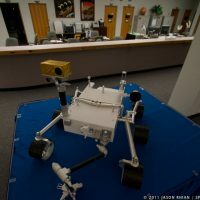 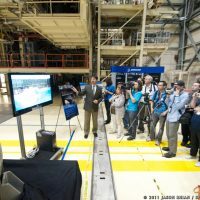 NASA frequently hosts an array of events highlighting its efforts whenever there is an event that brings members of the media in to the space agency's various centers. 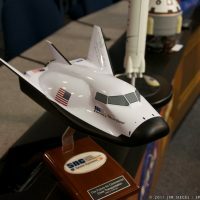 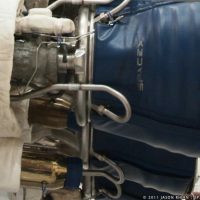 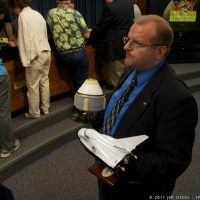 Such was the case in 2011 when the media was provided with an extensive tour around the agency's Kennedy Space Center (KSC) located in Florida. 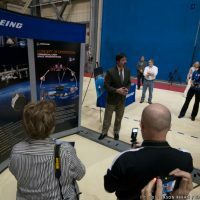 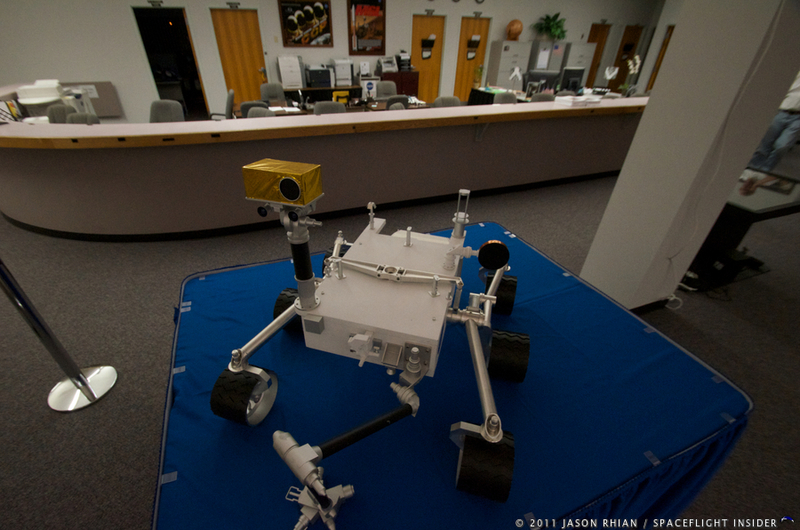 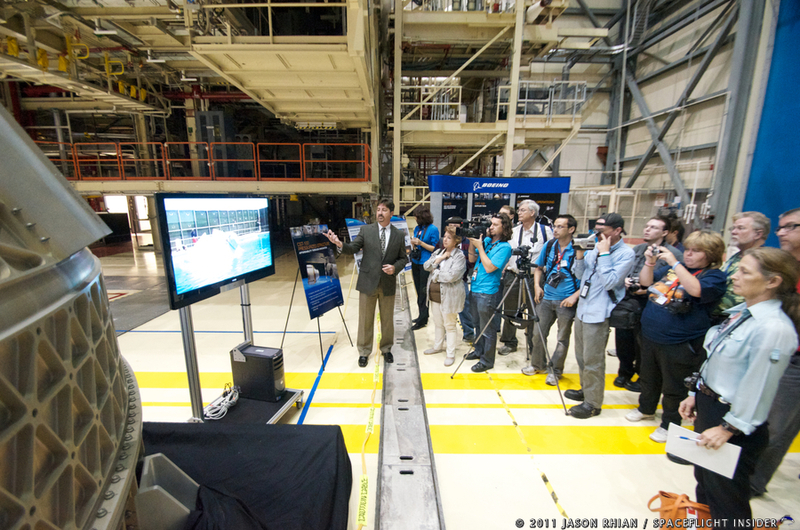 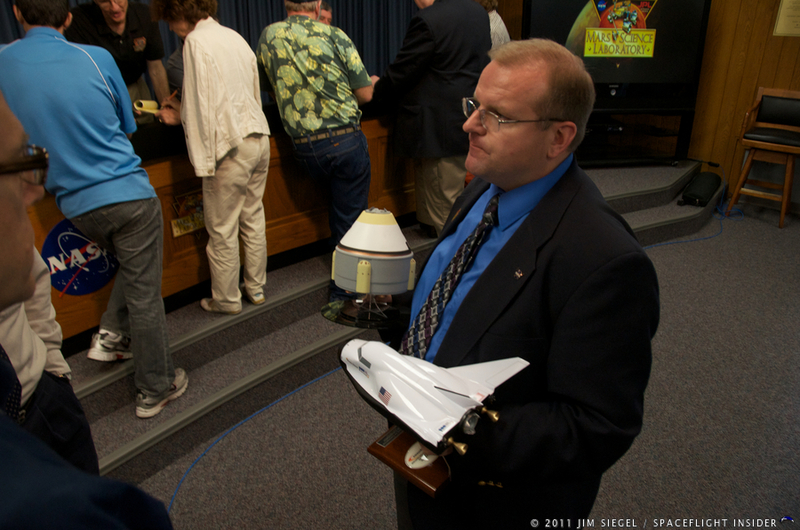 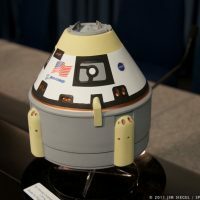 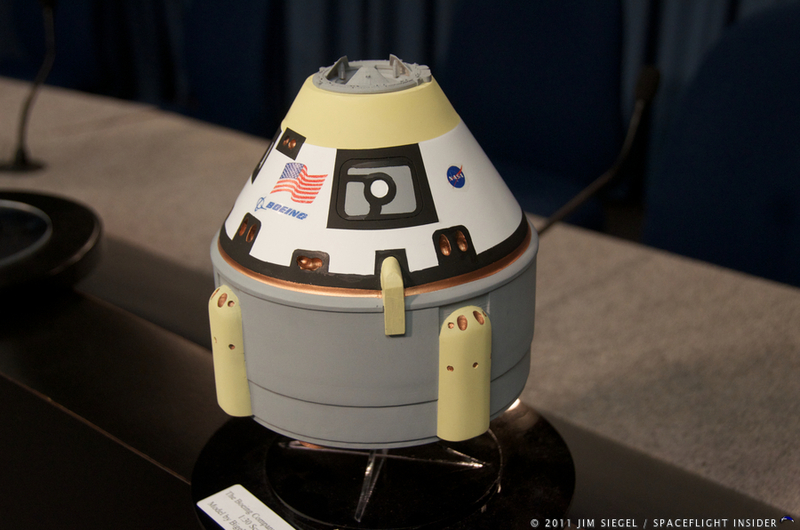 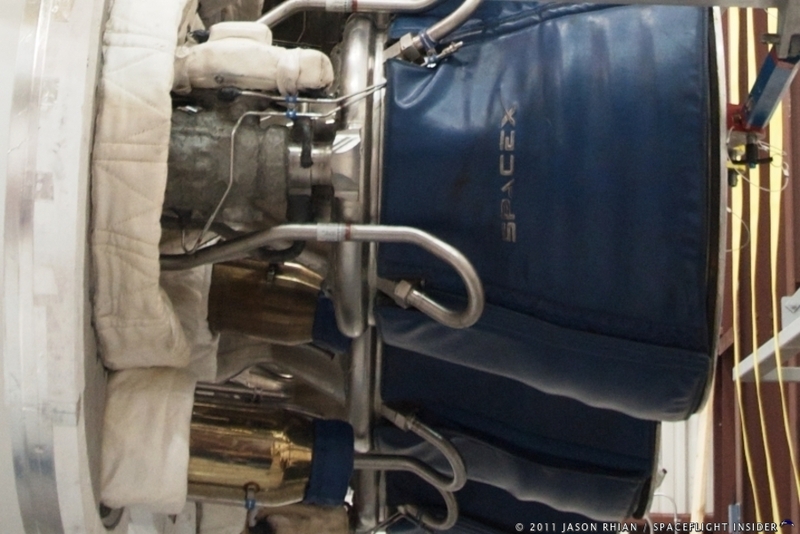 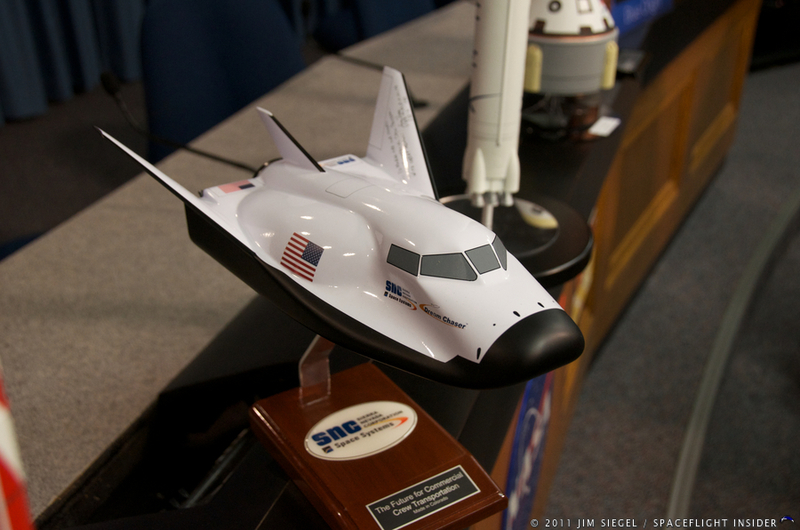 At the time, the agency provided information and tours about the Commercial Crew Development Program (CCDev). 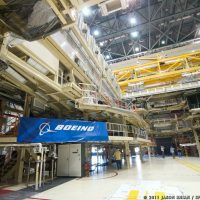 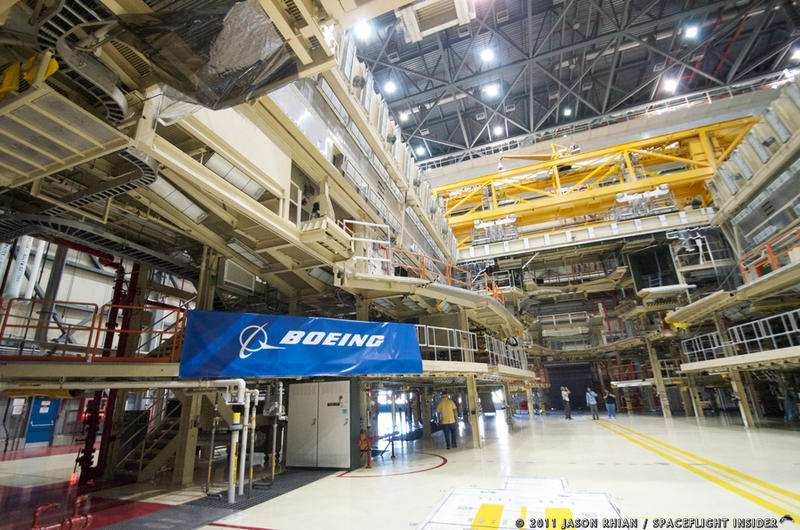 Tours included those of Boeing's Commercial Crew and Cargo Processing Facility (C3PF) which formerly served as an orbiter processing facility (OPF) for NASA's now-retired fleet of shuttle orbiters. 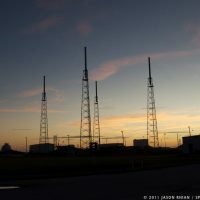 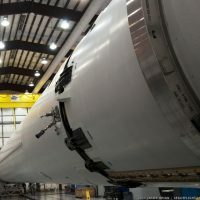 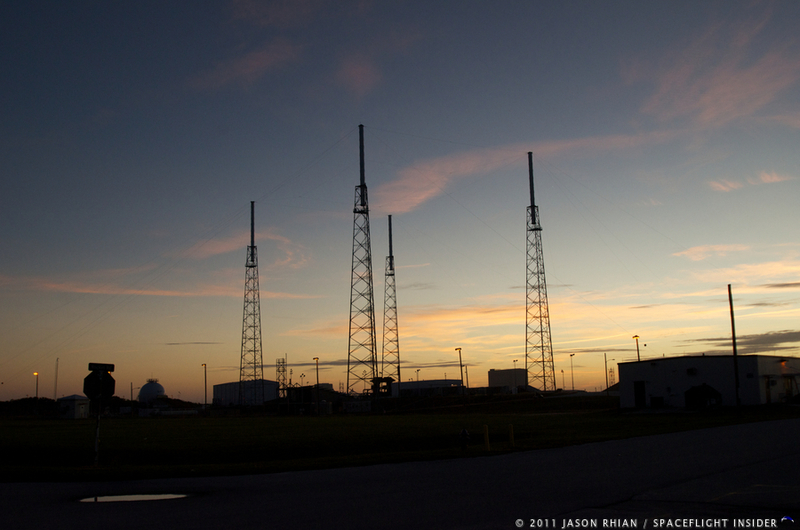 The tour also included a review of Cape Canaveral Air Force Station's Space Launch Complex 40 (SLC-40) where Space Exploration Technologies (SpaceX) prepares its family of Falcon 9 rockets for flight. 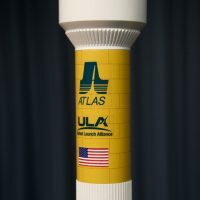 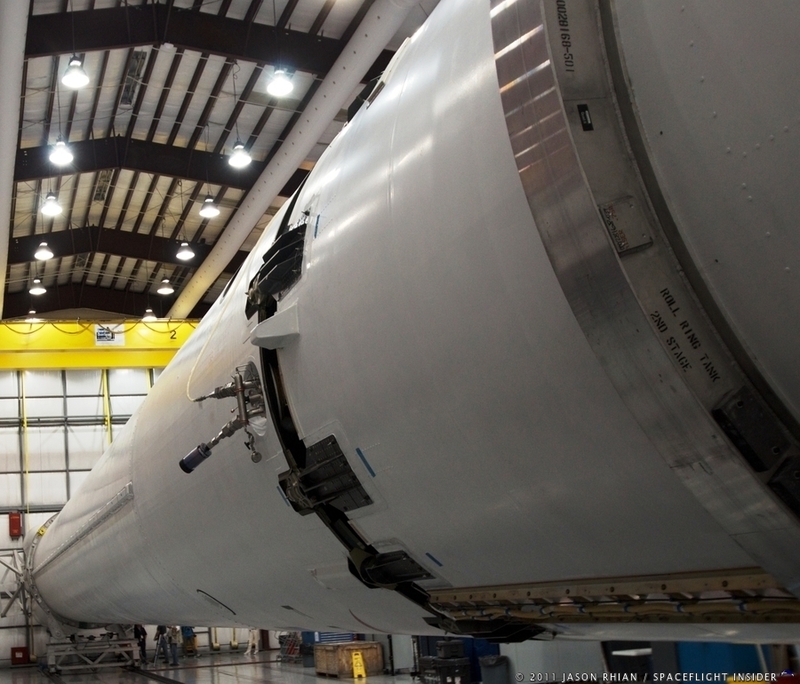 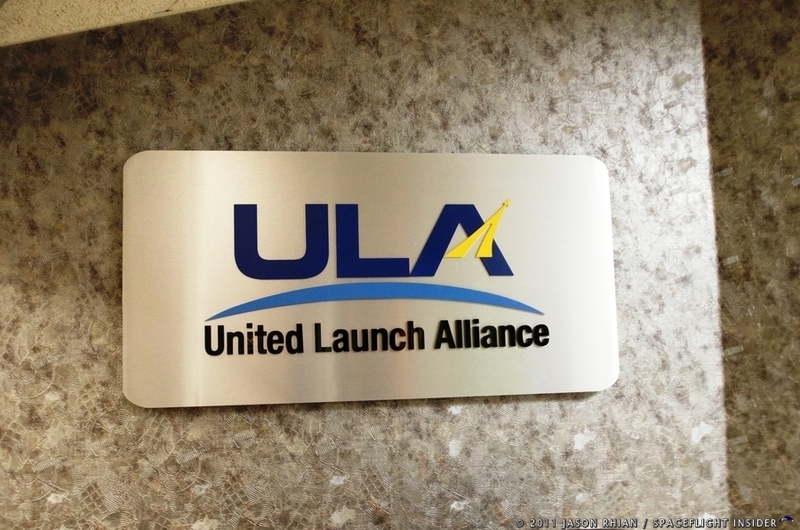 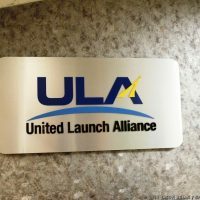 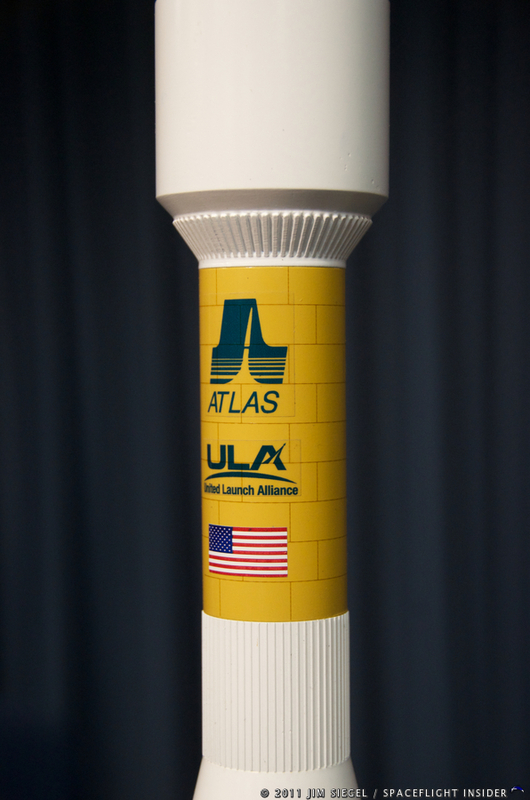 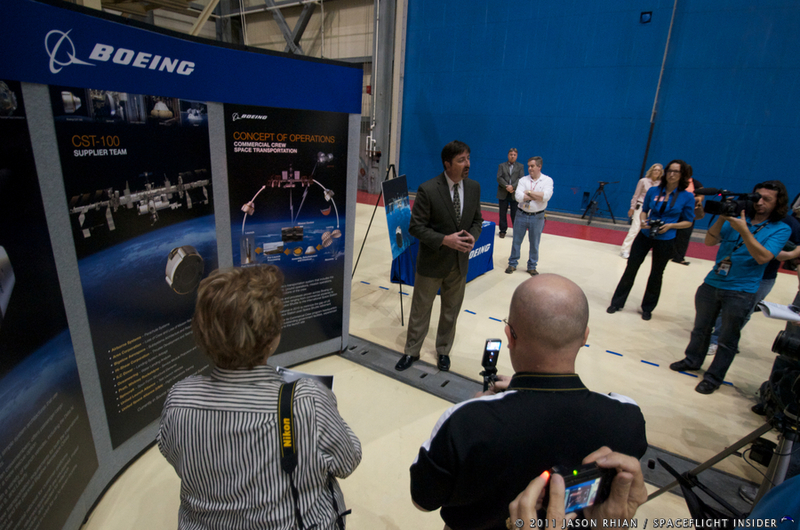 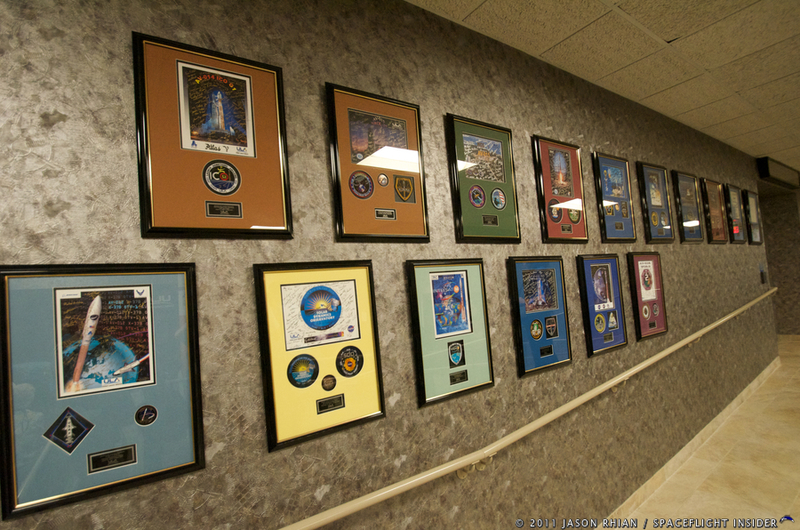 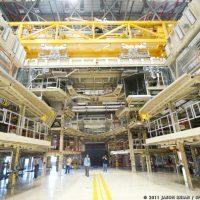 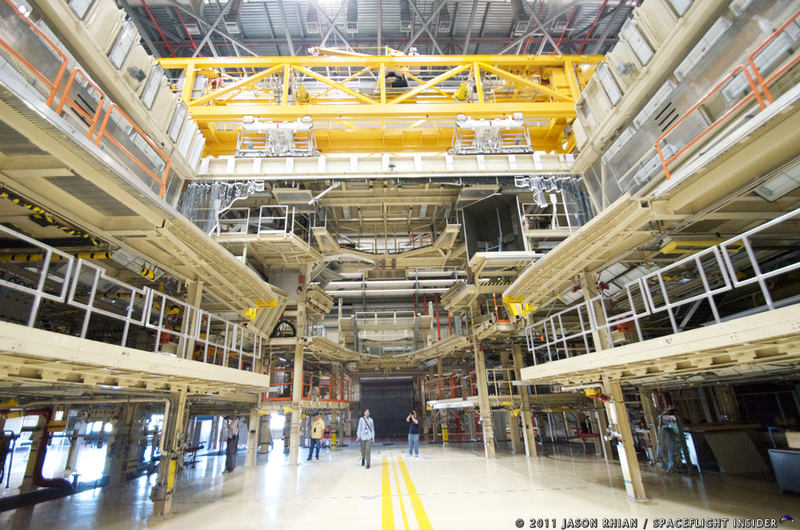 Finally, the tour also included a stop by United Launch Alliance's (ULA) Horizontal Integration Facility (HIF).